Our innovative tilt and turn windows combine sleek aesthetics with smart design. They are great for keeping your home stylish and secure. With a unique ‘tilt and turn’ functionality, you will be able to benefit from an innovative technological advancement that will work brilliantly in any home. Our stylish tilt and turn windows in Hornchurch, Edgware, Essex and Middlesex offer great aesthetics whilst being practical and functional. These uPVC windows combine great looks with a revolutionary design for a modern and versatile uPVC window solution. These impressive tilt and turn windows provide a clean minimalist appearance, which has the ability to open up any room with unobstructed views. Whilst the multi-functional operation makes them the ideal choice for ground floor and upper floor apertures alike. The stylish design of our tilt and turn windows featuring a slim profile and single glazed area provide homeowners with a fantastic aesthetic. This results in a large glazed area that will complement your home in Essex. The tilt function offers safe and controlled ventilation. This is perfect for window solution for bungalows where ground floor aperture needs to remain secure. It also works well to keep children safe from the risk of falling from upper floor openings. The turn function offers many benefits, such as maximum ventilation for air circulation as well as expansive views that beckon the outside in. It also allows for easy accessibility for cleaning as well as providing an alternative emergency exit. Tilt and turn windows from Concept Windows make the perfect choice for homeowners living in high rise apartments in Hornchurch, Edgware or Essex – or even for upstairs windows of homes. This is due to the ease of cleaning both sides of the window pane from inside your home. The innate strength and durability of our uPVC profiles mean that they are built to last without rotting, warping or cracking. They will never fade or discolour, resulting in windows that are virtually maintenance free. To keep your windows looking beautiful all you need is to give them a quick wipe down with a damp cloth from time to time. They will keep their stylish aesthetic without the necessity of repainting or varnishing that come with traditional timber windows. To ensure you are getting a bespoke range of tilt and turn windows, we offer stunning customisation options. Choose from a range of colours and finishes to ensure your windows blend seamlessly into your home. As well as this, choose from a range of frosted glass options to maintain privacy. We want to save you as much time as possible, which is why our range of stunning tilt and turn windows are designed to be low maintenance. To keep them looking brand new, simply wipe them down regularly with a damp cloth and soapy water. 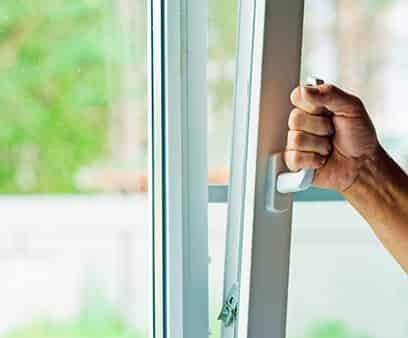 Security is a topic on the forefront of many homeowner’s minds. However, this is why we are here to help you. All our tilt and turn windows come with multipoint locking systems to ensure you are getting heightened security and added peace of mind. Make your home in Hornchurch, Edgware or Essex unique with a variety of design options. Choose from our attractive colour selection, including classic White, Golden Oak and Cream. Or, for a more bespoke tilt and turn windows colour options include Rosewood, Rosewood on White or Golden Oak on White. We offer a range of decorative features and accessories such as handles that can be incorporated into your new uPVC tilt and turn windows. Why not have clean-cut lines or a crisp, straight-edged finish to add a bit of personality to your home? A more decorative option with a traditional wood effect finish would suit period style properties by keeping appearances true to original style. On the other hand, you can choose a more contemporary feel that is more suited to modern. Are you worried about protecting your home in Hornchurch, Edgware or Essex? Well you don’t need to worry any more. With the installation of your new uPVC tilt and turn windows from Concept Windows you can sleep soundly at night. Each of our windows is Secured by Design tested, a police backed scheme that guarantees complete safety with every installation. Stringent tests have been passed by the innovative design that is resilient to forced entry. Our tilt and turn windows include Anti-Jemmy Hinges to prevent the sash from being prized open. Shootbolts are incorporated for increased security and Low-Line Glazing Beads make any break-in from the outside extremely difficult. 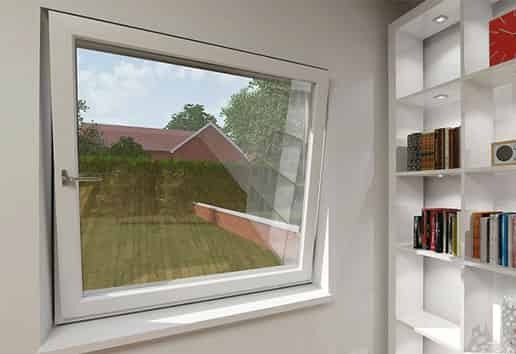 For a quick quote on our range of tilt and turn windows, use our online quoting engine today! It’s quick and simple to use, giving you a quote in minutes. Alternatively, send us an email using our online contact form, or get in touch by giving us a call on 01708 463526.